In this, the last part of just-drinks' coverage of its annual confidence survey, we analyse the results from the final six of the survey's 20 questions. 15: Which markets do you expect to offer greatest opportunities for your company's growth during 2016? This year's survey made this an open-ended question, as opposed to the 2015 survey's focus on eight 'emerging' markets, encompassing the BRIC and MINT nations (Brazil, Russia, India, China and Mexico, Indonesia, Nigeria, Turkey). The change in terminology provoked a fragmented response from those surveyed: 41 countries or regions were highlighted, but 17 of those were mentioned by only one respondent. The most popular responses reflected a mix between established and emerging markets, but it was the biggest market of them all – the US – that was earmarked by most respondents, with one-third more votes than China; a reflection, perhaps, of the former's economic recovery and the latter's stuttering growth, as well as its Government's continuing anti-extravagance clampdown. Beyond China, Africa was the next most popular name – apart from South Africa, no individual market was mentioned, reflecting the breadth of the opportunity on the continent, particularly in resources-rich markets such as Nigeria and Angola. Next came India, before the focus switched to more mature markets of the UK and Western Europe, as the latter belatedly shows nascent signs of economic recovery. South-East Asia was also highlighted by several respondents. Notably sinking right down the rankings were Brazil and Russia: the former hamstrung by recession, currency difficulties and trade barriers; the latter by economic sanctions and the tumbling Rouble. As many people mentioned Japan and Germany as Brazil this year. 16: Which retail channel(s) do you expect to offer the greatest opportunities for your company's growth in 2016? It's difficult to make comparisons on this question with last year as, this time around, respondents were allowed to select more than one channel when answering. But, even with that caveat, there's a switch: In 2015, multiple retailers were clearly the most popular channel, netting nearly 50% more responses than the on-trade. This year, the positions were reversed: 56.2% of respondents targeted the on-trade, and 43.9% multiple retailers. This may be a reflection of suppliers increasingly focusing on the on-trade in an effort to preserve margin as retail consolidation makes trading conditions ever tougher. It should be said, though, that the on-trade in many markets is also increasingly competitive, as well as typically being more labour-intensive. The survey also highlighted the increasing importance of online and direct selling, while there was also an increase in the number of people mentioning the convenience retail channel. 17: Will your company increase its marketing investment during 2016? Another new question for 2016, and a relatively bullish response. Only just over 5% of respondents expect to cut their marketing investment this year, and almost half say they will increase it. That said, an even larger number expect expenditure to stay the same, suggesting a degree of conservatism in the year ahead. 18: What will be your most important marketing channels in 2016? This new question illustrates the changing shape of marketing investment for drinks brands in 2016. The traditional formats of broadcast, print and out-of-home are increasingly taking a back seat to more modern and technologically-focused methods of communication. Social media in particular has leapt to prominence here, as companies such as Google and Facebook make their marketing investment options increasingly sophisticated. Almost three-quarters of our respondents listed social media among their top marketing priorities for 2016. 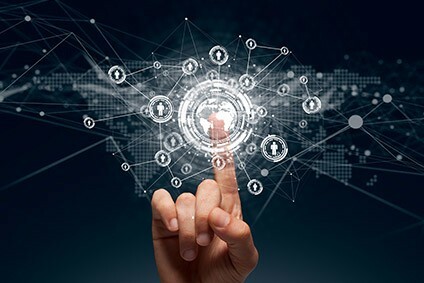 Digital and mobile also ranked very highly, but one rather more tried-and-tested method of connecting with consumers retains its lustre: almost one-third of respondents highlighted the importance of experiential initiatives. Even in this technologically-advanced age, the power of events and persuading people to taste the product remains vital. 19: Which aspects of sustainability will grow in importance for your company in 2016? If this question were a 100m race, the photo finish would feature no fewer than six contenders, so important and multi-faceted has this area become over the past decade or so. Between 37% and 40.2% of our respondents highlighted the importance of one of the following: carbon footprint, water, energy, packaging, waste/recycling and supply chain impacts/sustainable sourcing. More than ever, it is vital for drinks companies to have a comprehensive and diverse sustainability strategy. Also high on the agenda were consumer health and community investment, with transport/refrigeration, employee volunteering and organic practices further down the priority list. 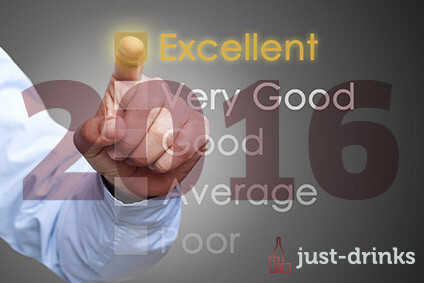 20: Overall, do you expect 2016 to be a better or worse year for your company than 2015 was? The last question – and, arguably, the biggest of them all. Without wishing to descend into anti-climax, not much has changed in 12 months. Then, 67.5% of respondents expected a better year ahead for their companies; now, that figure has fallen to 67.2%. The number of those expecting a deterioration has declined too, from 7.6% to 5.3%, leaving 27.5% (compared to 25% last year) expecting much the same from the year ahead. It may not be a dramatic movement, but – coming against a backdrop of widespread geopolitical concerns and a stuttering global economy – it's a positive note on which to end.